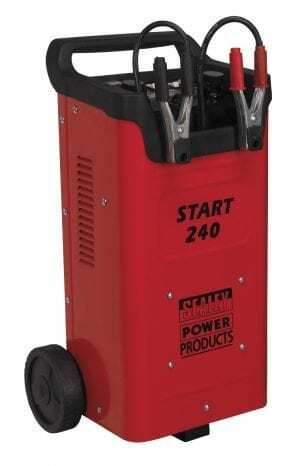 Great value heavy duty starter / charger from Sealey. Ideal for garages / workshops & bodyshops. Up to 75a max charging current and 360a starting current. Large wheel for easy mobility, with ammeter & switchable charge circuitry giving accurate change control. Suitable for cars up to commercials vehicles and features a fast-charge timer to enable rapid battery recovery with a significantly reduced risk of battery boiling. 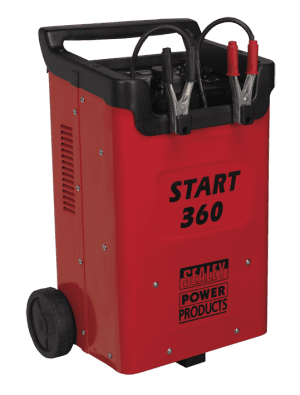 Fantastic heavy duty starter / charger from Sealey. Up to 90a max charging current and 560 Amp starting current. 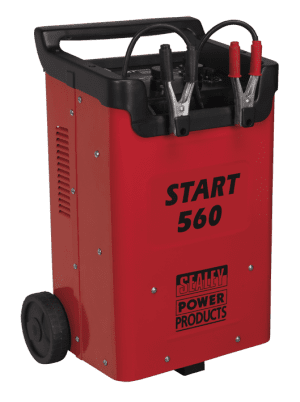 Fantastic quality 650amp starter / charger from Sealey.